North Texas FTC Robotics Championship, Feb 10, 2018 – sign up as a Volunteer! 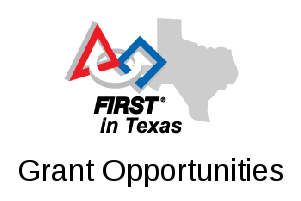 We are currently looking for volunteers for the North Texas FIRST Tech Challenge (FTC) Regional Championship. The North Texas Regional Championship will be held on Saturday, February 10th at Wylie East High School in Wylie, Texas. Forty-eight of the top FTC teams in North Texas — around 1,000 participants — will be competing to determine the regional winners and advancing teams to the next level of FTC competition in March. This is UT-Dallas’ first year as the Affiliate Partner for FIRST Tech Challenge in North Texas, and so we’re looking to make sure this event runs well. This will also be the largest FTC event ever held in North Texas, and for that we need lots of judges, referees, inspectors, queuers, and more in order to provide a successful experience for the teams and students. Don’t worry if you haven’t done this before or feel like you might not be qualified… FIRST Tech Challenge teams are evaluated for their communication, marketing, writing, planning, and teamwork skills just as much as engineering or scientific skills. Online training is provided for most roles so you can feel very prepared for the tasks when you arrive, and we have some top-notch advisors that will be leading you through the process. Short descriptions of the needed roles are below. To volunteer for the event, please visit https://my.firstinspires.org/Volunteers/Wizard/Search/2?EventId=35315 and select the role(s) you would be willing to serve at the event. FIRST Tech Challenge is some of the “hardest fun you will ever have”! Our primary need is for judges — there are a lot of teams to be judged in a short period of time. Judges will select team award recipients through interactions with teams; teams give presentations on the morning of the event, and then the remainder of the day is spent interviewing teams in their pit areas, on the field, and throughout the venue. Teams also supply an Engineering Notebook that judges will use to help determine the award winners. Judging is done in panels, so you’ll have others with you to make evaluations, and a set of criteria for each award and our highly-experienced Judge Advisor will facilitate the process. Referees observe team matches to observe rule violations and “call” them. They may also keep track of which elements have been scored and record these items on scoresheets. It’s not necessary to learn all of the scoring aspects of the game — the scorekeeping software does that — referees and scorers simply count elements on the field at various points in the match and send those counts to the scorekeepers to be entered into the computer. There is online training to become a referee and a certification exam (which usually isn’t very hard). Refereeing also gives you “the best seats in the house” for watching the matches take place. 🙂 Referees can also volunteer as Inspectors (below). Inspectors meet with teams in the morning to check robot designs for safety and compliance with build rules and restrictions. This involves going through a short checklist of items for each robot, informing teams of any infractions that will prevent the robot from competing or certifying the robots as being compliant with the game requirements. This role also has training materials and a short certification exam for the role. Inspectors can also volunteer as Referees (above). We also need queuers (people to help manage traffic flow and get teams to their judging sessions and matches), announcers, runners, registration/checkin volunteers, and more. Again, if you can volunteer for this event, please visit https://my.firstinspires.org/Volunteers/Wizard/Search/2?EventId=35315 and sign up for any roles you would like to have. If you have any questions, please contact Patrick Michaud at <patrick.michaud@utdallas.edu>. Thank you and we hope to hear from you soon.